$100 reward for the best photo example of a tampered T&P. Ten winners to be announced for the best documented photo of improperly installed, never inspected, plugged or tampered Safety Relief Valves. 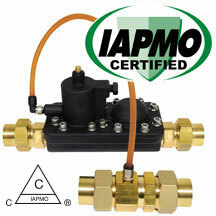 So grab your camera or phone and take a photo of a T&P valve improperly installed or tampered with. Anyone can enter and you can enter as often as you like. 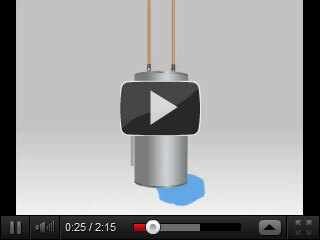 The Dulac Safe Plug Relief (SPR) fitting is a safety device for water heaters and boilers. In the event a plug, a valve, or some other blockage is used to defeat the purpose of the discharge from the T&P Relief Valve, the SPR will separate. This will allow the T&P Relief Valve to work as expected (BLOW OFF), preventing a Water Heater or Boiler explosion. The WHID is the Only AUTOMATIC SHUT OFF VALVE FOR A WATER HEATER/ WATER HEATER LEAK DETECTOR that is hydraulically activated eliminating the need of any electrical energy or sensing devices. The WHID's ability to isolate a leaking water heater with the least amount of water seepage is instrumental in preventing mold eradication damages. Who is Dulac Plumbing Innovations?